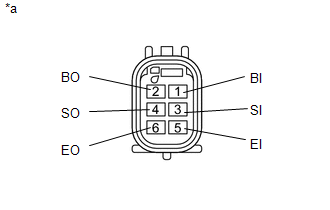 This DTC is stored when there is an open or short circuit in the communication line between the rear sensors and the ECU, or when there is a malfunction in a rear sensor. 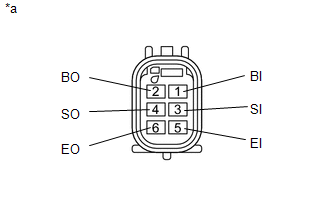 An open or short circuit in the communication line between the rear sensors and ECU or a malfunction in a rear sensor during initialization mode after the ignition switch is turned ON. (a) Disconnect the C30 connector from the clearance warning ECU assembly. (b) Disconnect the R43 connector from the No. 1 ultrasonic sensor. (a) Disconnect the R43 and R41 connectors from the No. 1 ultrasonic sensors. (a) Disconnect the R41 and R40 connectors from the No. 1 ultrasonic sensors. (a) Disconnect the R40 and R42 connectors from the No. 1 ultrasonic sensors. (a) Remove the No. 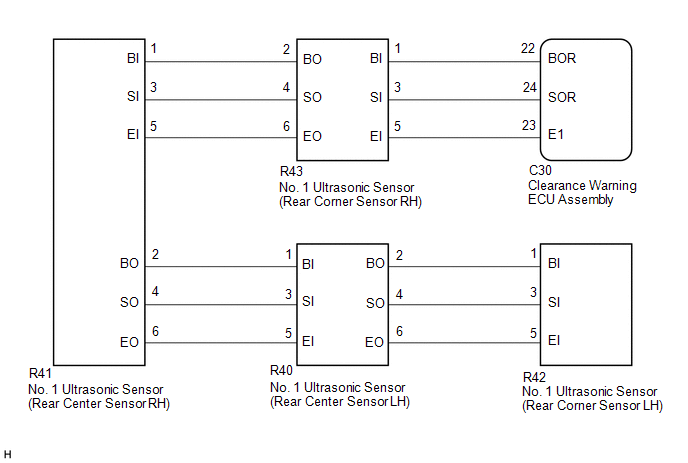 1 ultrasonic sensor (rear corner sensor RH) (See page ). (a) Remove the No. 1 ultrasonic sensor (rear center sensor RH) (See page ). (a) Remove the No. 1 ultrasonic sensor (rear center sensor LH) (See page ).